Zoos should be completely abolished. The benefits of animal captivity often referred to in defence of zoos, including research and conservation, are insufficient to compensate for the mental and physical detriments that creatures suffer whilst captive. Zoos do not have the capacity to replicate the true landscape and habitat that wild animals come from, and this contributes to the detriments suffered. Further, the environmental enrichment activities implemented by zoos in an effort to replicate animals’ normal living conditions are insufficient. As long as animals are kept in captivity, they will continue to suffer many mental and physical health issues. Consequently, zoos should be outlawed, as these feeling and breathing beings are suffering. There is also the issue of morality. Just as humans cannot be held captive (apart from a criminal basis), it only seems just that animals who feel as humans do, should have the right to live freely in the wild. Currently though, it does not appear that abolition of zoos is on the government agenda. This being the case, zoos must be more tightly regulated in the meantime, providing for more stringent standards of care, and harsher penalties for the harm of animals in captivity. Australian laws and codes barely provide protection to animals or animals in captivity. The law must keep in touch with social norms and standards, by providing animals with the benefits of protection from harm. The Commonwealth provides for minimal protection of animals in captivity. Zoos are mainly regulated by the States and Territories. However, the Australian Consumer Law, as controlled by the Commonwealth, has defined animals as ‘objects’1. This reflects a long tradition of common law designation of animals as personal property. This definition of animals is a cause for concern amongst animal activists, as it assumes that animals are not living and feeling beings. Consequently, certain treatment of animals, which would be considered immoral, is acceptable under the law whose role it is to keep up with moral and ethical beliefs. An amendment of the definition of animals under the law would be an extremely powerful mechanism to initiate significant reviews of the legality of animals in captivity. Regrettably, until such amendments are made, animals will remain voiceless creatures, incapable of living a life of freedom. Each State and Territory has implemented legislation for the management of animals in captivity. In Victoria, the Zoological Parks and Gardens Act2 establishes the Zoological Parks and Gardens Board of Victoria and provides for the management and administration of zoos. The Board is responsible for governing the Melbourne Zoo, Healesville Sanctuary and Werribee Open Range Zoo, and to encourage the role of the parks in the conservation and research of animals, and the education of society. Further, the Wildlife Act 3 plays an important role in regulating the use of wildlife and zoos in the State, and establishing the authority of certain individuals to obtain the right to use wildlife for the purposes of exhibition, including acquisition of a licence. The Act imposes sanctions on those who unlawfully take or harm wildlife, including penalty units and terms of imprisonment. Lastly, the Code of Practice for the Public Display of Exhibition Animals4 has been implemented by the Bureau of Animal Welfare, and provides guidelines that zoos should follow in maintaining the health and welfare of animals. Whilst this code provides guidelines on the minimum standards of care for animals in captivity, non-compliance with the Code will not, in itself, constitute a breach of the law. Rather, compliance with the Code provides a full defence against potential prosecution for ‘cruelty’ under the Prevention of Cruelty to Animals Act 1986 (Vic). Whilst certain Codes of Practice for the care of animals in Victoria now take the form of mandatory Regulations, the Code of Practice for the Public Display of Exhibition Animals is not yet one of them. It is clear that blatant animal abusers in zoos can be prosecuted5. However, the fact that animals are being allowed to be held in captivity at all, with the known detrimental effects that such imprisonment causes is concerning. 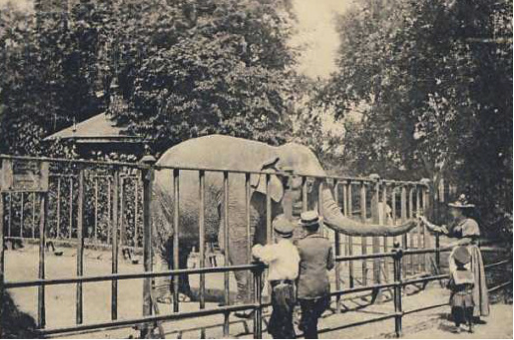 According to Jamieson in “Against Zoos”, zoos are generally warranted as they provide for research, conservation, education and entertainment.6 However, it seems that the detriments of zoo-keeping far outweigh the benefits of it, particularly as animals’ mental and physical wellbeing is being jeopardised. Animals are clearly living, breathing and feeling beings. One of the most basic human rights is that of liberty. It is concerning that the law does not extend this protection to those who cannot speak or petition for themselves. Singer’s statement refers to the fact that whilst animals will not be on a complete equal ground to humans (they will never be able to vote, provide evidence in court, and so on), their rights must be improved, so as to afford them the same fundamental right of liberty and freedom from harm. In order for an animal’s right to liberty to be recognised by law, their recognition by the law of property must be amended. It is the role of the law to keep in touch with changing social, moral and international standards, and this amendment is far overdue. On the contrary, the law also provides that animals must not be victims of unreasonable suffering and torture, and this is protected to an extent by section 9(1) of the Prevention of Cruelty to Animals Act, which also provides penalties for causing such harm.9 This provides for ambiguity in the law. Only living beings can suffer pain and must be protected from this, and yet the consumer and property law regard animals as objects, which do not ordinarily feel or suffer pain. If animals cannot be abused under the law, then the legislation must change so as to recognise them as living beings. A study by Universities Federation for Animal Welfare 2003 estimated that 85 million animals worldwide, being held captive in zoos, farms and laboratories, displayed some form of abnormal behaviour.10 In order to prevent the development of these behaviours, an animal’s environment must be enriched.11 This includes physical, social, feeding and conditioning enrichment. This can be difficult for zoos to achieve due to the high expenses of such husbandry.12 In terms of physical enrichment, the area of captivity should be increased, so as to imitate their natural environment. Many zoos cage animals in confines which are too small to nurture their development.13 These confined living arrangements contribute to a large percentage of abnormal behaviours in animals. Cramped living conditions are of a particular concern for elephants and other large animals who live in spaces which do not allow them to roam and travel, a natural and inborn practice. Social enrichment includes increasing the group size of animals, and encouraging the development of long term bonds.14 Social and physical enrichment, or lack thereof, share a strong link with the development of mental illness and stress behaviours. As mentioned previously, the Code of Practice for the Public Display of Exhibition Animals provides recommendations for the minimum care and health standards of animals in captivity. They include guidelines as to the size of enclosures, and the keeping of mammals in a social group. However, this is insufficient as zoos are not required to implement these guidelines.15 The law does little to regulate how animals are cared for in captivity. Another study has established that many elephants suffer from post-traumatic stress disorder, when they are taken from the wild and placed in captivity.20 Most often this disorder is caused by the trauma of being separated from their mother and families from a young age.21 Further, the elephants are often separated from each other when captured in groups and taken to different zoos, and cannot retain any bonds which are crucial to maintaining their mental wellbeing.22 This in turn leads to social isolation. The elephants also face severe stress from being moved to an environment which is not their own, which is enclosed and restricted. This trauma that elephants must endure has a major impact on the development of their brains.23 In 2012, a young Asian elephant in the Sydney Taronga Zoo seriously injured a trainer, due to the anxiety she was suffering.24 This provides a clear illustration of the abnormal behaviours that develop amongst usually gentle and intelligent animals that are not living within their natural habitat. The stress that animals suffer in zoos also correlates with physical disease. In terms of physical health, stress particularly reduces reproductive success and the lifespan of animals, similar to the response of humans suffering from prolonged stress.25 A study of elephants found that in terms of impaired reproduction, this also impacts upon the baby elephants, as they are often born with a low birth weight.26 Consequently, a cycle of health issues develops, and is passed on to each generation. The same study also found that stress can cause premature death, as it causes oral and gastric ulcers, fungal infections, skin boils and Herpes sores, and infectious diseases caught through colds and influenza.27 Whilst this study was conducted on elephants, it was concluded that these ailments are suffered by animals of all species in captivity. These diseases can also be amplified by poor diet and exercise. Animals living in the wild must hunt for their own food and learn to survive on their own. Consequently, it is important that feeding enrichment activities are implemented by zoos, such as hiding food. The Code of Practice for the Public Display of Animals does provide that food should be scattered around the enclosure, so as to promote normal hunting methods. However, the size of the enclosures do not replicate that of the animals’ natural habitat. In comparison to their natural habitat, the food does not take nearly as long to find, leading to the development of obesity, and an array of diseases caused by it.28 Elephants in the wild spend up to sixteen hours per day feeding, and they must consequently spend much of their time walking and searching for food and water.29 Further, as mentioned previously, the Code merely provides for recommended minimum standards, and implementation is not mandatory. Whilst enrichment activities can be implemented by zoos, these practices will never be sufficient to equate to living conditions in the wild. There are also issues in relation to scientific research. Jamieson noted that most zoos do not conduct scientific research.30 Of those that do, scientists often study wild animals rather than those in the zoo. Research that is conducted on animals in zoos can be divided into studies of behaviour and anatomy.31 Behavioural research is extremely controversial. Whilst observations can be made, it is difficult to determine the natural behaviour of animals who are not living in their natural habitat. Further, if animals have developed mental and physical illness due to their captivity, the task of researching and understanding an animal’s normal behaviour becomes nearly impossible. Research is also conducted for a general understanding and knowledge of animals.32 Whilst it is important for people to have knowledge about animals, in order to understand and respect them, it is immoral to keep them in captivity in order to provide this education. This further defeats the purpose of building up respect and an appreciation of animals, as humans merely view them as an object, as the law does, that has no rights or feelings. Whilst several claims have been made that zoos ‘inspire people’,33 during Diesking’s literature review, it was found that ‘no systematic research has been conducted on the impact of visits to zoos and aquariums on visitors’ conservation, knowledge, awareness, effect or behaviour’.34 Most people that visit zoos do not leave wanting to make a change to their lifestyle, such as limiting animal products in their diet, or volunteering in wildlife conservation. Individuals could learn more by watching animal documentaries of creatures living in their natural habitat, or reading books and researching. Merely watching animals walk around confined spaces in a state of stress will not teach humans about the true nature and beauty of these creatures. Most supporters of creatures being held in captivity argue that animals face many dangers living in the wild, such as lack of food and water and poaching. Whilst this is true, if animals are to be considered beings, like humans, they must be free to live their lives naturally and in their own environment. Animals live, die and face hardships as humans do. Evidence of their abnormal and stress behaviours in captivity indicate a desire to live freely and in their habitat, rather than knowing where their next meal will be coming from. Just as humans are taught by their parents to take care of themselves, this same process occurs in the animal kingdom. What happens from that point on is called life, and all beings must be free to experience it. In the words of Mokokoma Mokhonoana, ‘the zoo kills the ‘wild’ in wild animal’, and that is a tragedy. 1 Competition and Consumer Act 2010 (Cth), Sch 2 s2: “goods” are defined to include, among other things, “animals, including fish”. 2 Zoological Parks and Gardens Act 1995 (Vic). 3 Wildlife Act 1975 (Vic). 4 Code of Practice for the Public Display of Exhibited Animals, 2001. 5 Prevention of Cruelty to Animals Act 1986 (Vic), s9(1). 6 Jamieson, D 2006, ‘Against Zoos’, in P Singer, In Defense of Animals, Blackwell Publishing, United Kingdom. 8 Singer, P, “The Animal Liberation Movement” (Old Hammond Press, 1985). 10 Universities Federation for Animal Welfare, ‘Science in the Service of Animal Welfare’, Universities Federation for Animal Welfare, < http://www.ufaw.org.uk/pdf/annualreport-2003.pdf>. 20 Bradshaw, G, Linder, L, “Post-Traumatic Stress and Elephants in Captivity”, (nd), The Elephant Sanctuary. 24 Walkden-Brown, J 2013, ‘Animals and Entertainment’, in P Sankoff, S White, C Black (2nd ed,), Animal Law in Australia, The Federation Press, Sydney, pp. 129-150. 25 Mason, G, Veasey, J, “How Should the Psychological Well-Being of Zoo Elephants be Objectively Investigated” Zoo Biology, vol. 29, pp. 237-255. 28 Posta, B, Huber, R, Moore, D, “The Effects of Housing on Zoo Elephant Behavior: A Quantitative Case Study of Diurnal and Seasonal Variation”, International Journal of Comparative Psychology, vol. 26, pp. 37-52. 33 Hancocks, D 2007, “The Future and Ethics of Zoos”, Abstract presented at the Museums Australia National Conference. 34 Diesking L D, K Burtnyk, J H Falk, (2006) ‘Visitor learning in zoos and aquariums’, Institute for Learning, Annapolis, Md.